I’ve been really getting into Rust lately, and while it’s still quite young, there’s lots of neat things going on with this language. One fun project that popped up on my radar this week was sprocketnes, an NES (Nintendo) emulator. It’s not perfect, but it’s getting there! Its purpose is to serve as a technology demonstration to show how the Rust programming language is suitable for systems software such as emulators. 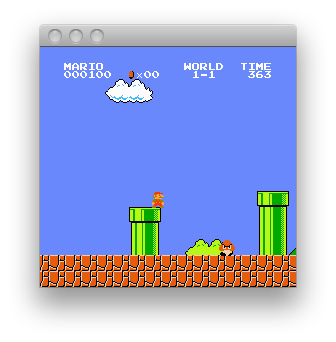 It has many shortcomings and is not intended to be a production-quality emulator. sprocketnes is also designed to be a relatively clean example codebase, showing off various Rust idioms. Patrick Walton is one of the more active Rustics, (a term I think I like even more than Rubyist! ;) ), so if you’re looking for a good example of Rust code, sprocketnes is a project you should check out.